I actually offered to give this fat quarter bundle to a blogger with a longer history and wider following since I didn’t have a plan for it and worried I would have it (unused) longer than the colors would be trendy. Perhaps my offer of sending it for free sounded suspicious because I never heard back. Guess it worked out for me! 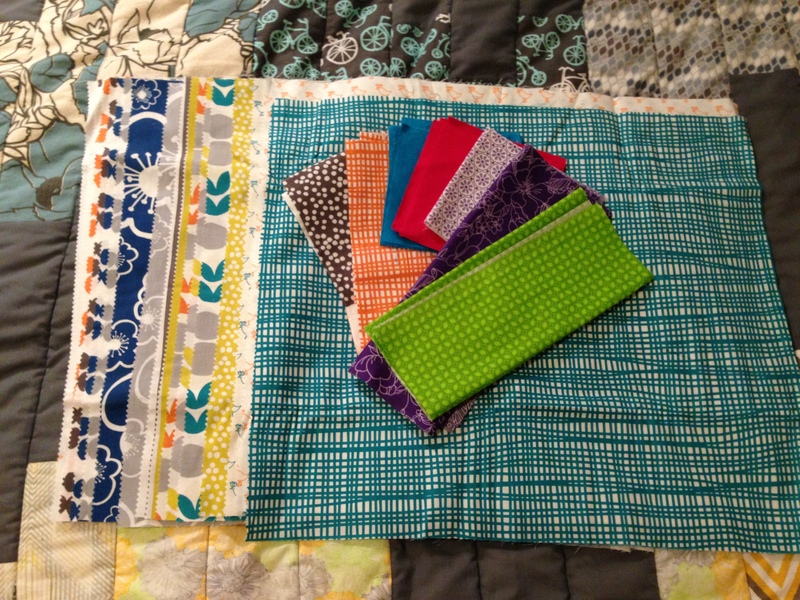 The bright colors are an exciting change from the sampler quilt’s autumn fabrics. I look forward to the variety. Categories: Other Sewing, Quilts | Tags: bella, color, fabric, fat quarter, fat quarter bundle, lotta jansdotter, palette, quilt, sew, sewing | Permalink. A big yes on that dark teal loose weave.